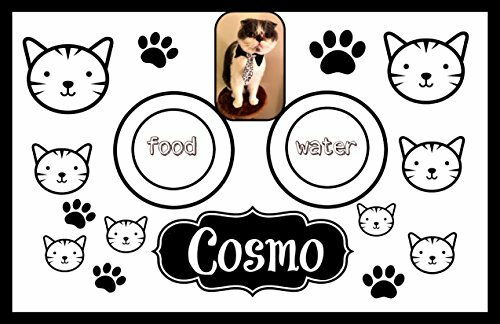 Cat photo custom laminated floor mat for cat food and water. 12 x 18 personalized print which is then double 5 mil. laminated. You will send me a picture of your pet, and it will be added to the mat as you see it here. Wipe clean. See my shop for other styles. If you have any questions about this product by ART and Decorations, contact us by completing and submitting the form below. If you are looking for a specif part number, please include it with your message.